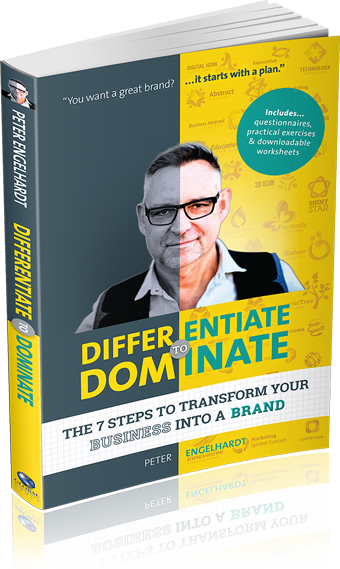 Fill in your details to access all your free downloads from Differentiate to Dominate. Strategic Marketing & Design companyTel: +61 3 8677 2248creativebrew.com.au© 2019 Creative Brew all rights reserved. Differentiate to Dominate by Peter Engelhardt © 2019. All rights reserved. No part of this book may be reproduced in any written, electronic, recording, or photocopying without written permission of the publisher or author. The exception would be in the case of brief quotations embodied in the critical articles or reviews and pages where permission is specifically granted by the publisher or author. Although every precaution has been taken to verify the accuracy of the information contained herein, the author and publisher assume no responsibility for any errors or omissions. No liability is assumed for damages that may result from the use of information contained within.